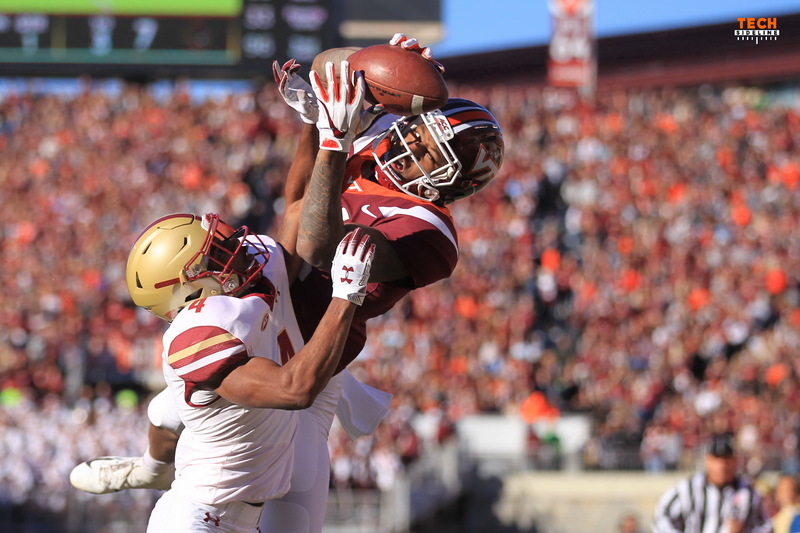 It’s been a while since we did an installment of “The Moment,” and though the Hokies didn’t win the game against Boston College, we decided to reward our photographers by featuring their work, because they take some great photos. All photos this week are from Jon Fleming. These photos are higher-res than what we normally post. These shots are all 3000 x 2000. Click on each photo to view it in its full resolution. We begin with Bruuuuuuuuce! 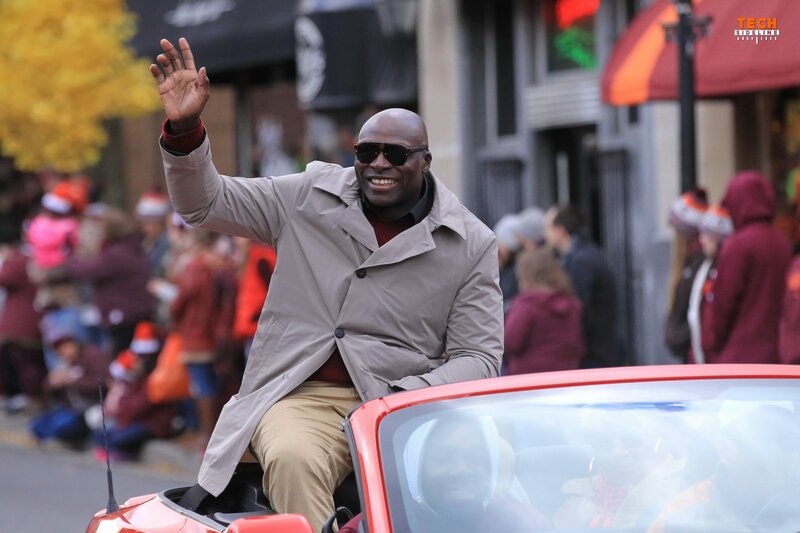 Bruce Smith was grand marshall of the Homecoming parade. 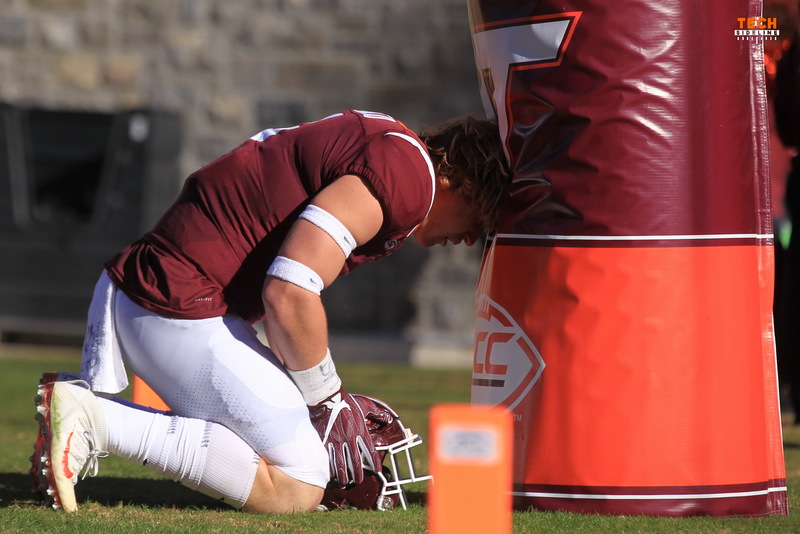 Next up: a photo of a very promising freshman linebacker. Dax Hollifield got his first career start and recorded ten tackles against the Eagles. 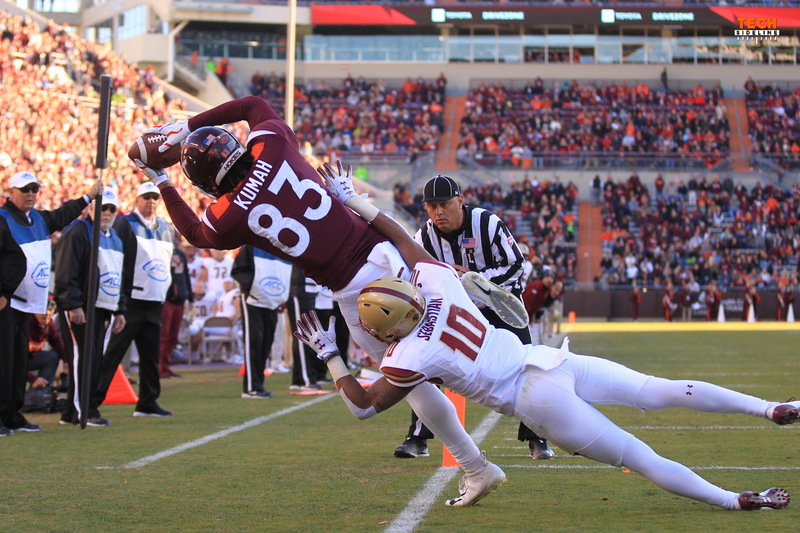 Now, a couple of action shots, specifically two great catches by Virginia Tech wide receivers. Kumah: an inch and a half of sideline to spare. Jon Fleming is quite talented with his photography- incredible shots! That sideline catch shot is awesome! Doesn’t get much better than that… well, we could have won. Kumah! Best hands of all the receivers!